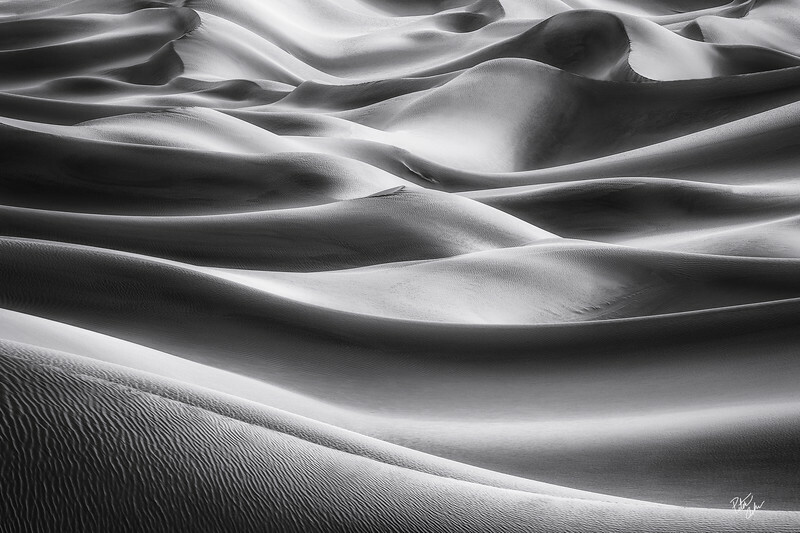 A collection of my best selling fine art nature and landscape photographs over the years. 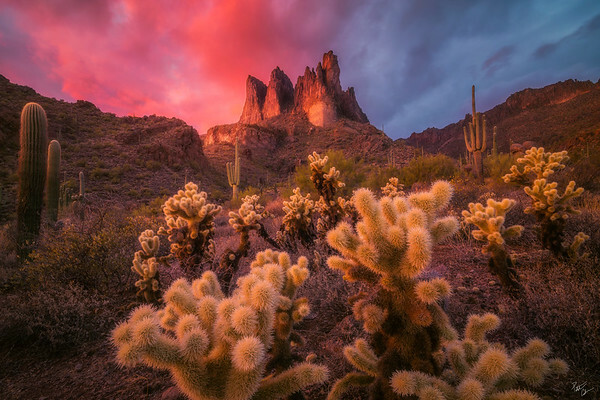 My favorite mountain peak in the Superstition Mountains adorned with a healthy dose of teddy bear cholla and saguaro cacti under fading sunset light. 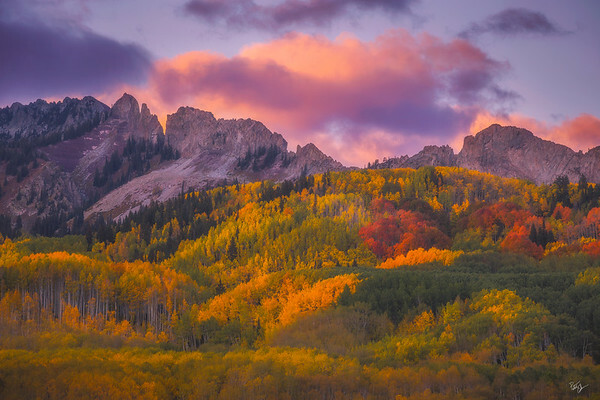 Some of the most diverse and multicolored aspen groves I've ever seen below rugged peaks and pastel sunset light along Kebler Pass in Colorado. 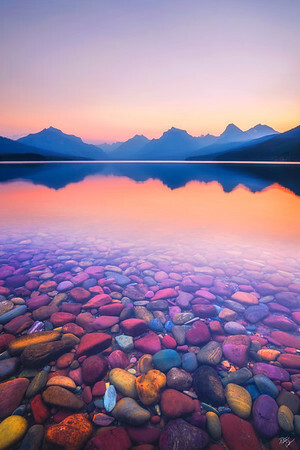 A perfectly calm shoreline of Lake McDonald reveals the multicolored rocks beneath the water just before sunrise. Glacier National Park, Montana. 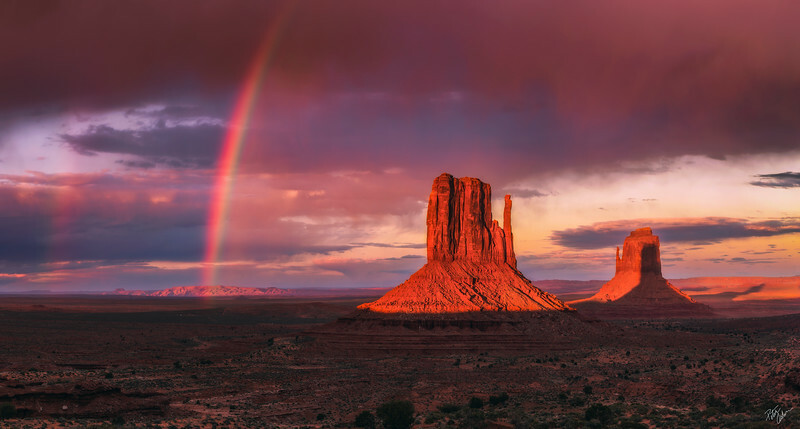 A vibrant rainbow rises next to the iconic mittens in Monument Valley, Arizona at sunset. 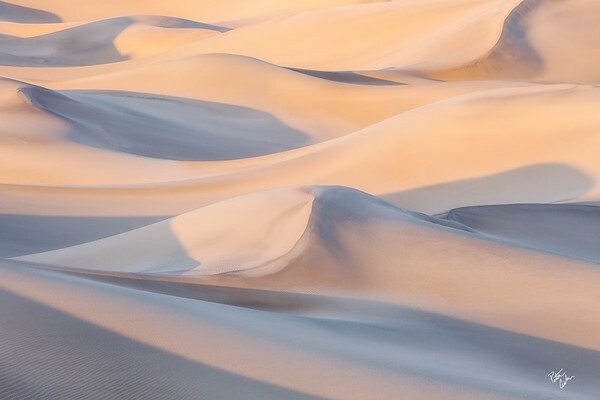 Beautiful soft light over sand dunes in California's Death Valley. Not even the slightest breeze was felt this evening, something that would drastically change after leaving the area. 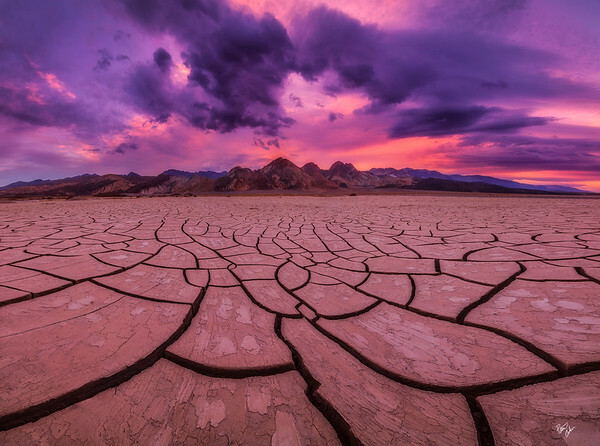 Dramatic clouds as the sun filters through slightly to offer a colorful sky, rise above the mud playa in Death Valley, California. 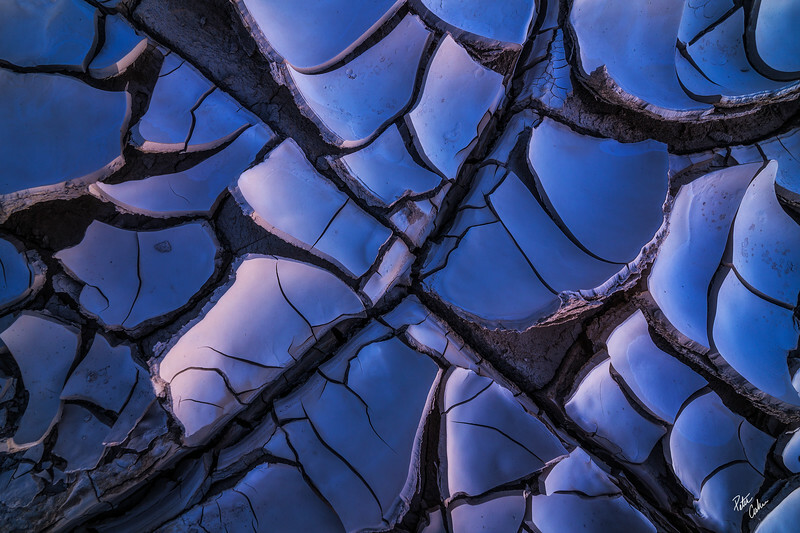 A blossom of cracked mud at twilight in Death Valley National Park, California. Late afternoon light paints tiles of cracked mud in rich golden hues in Death Valley National Park, California. 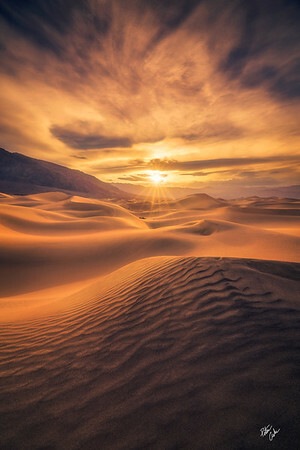 The bright sun breaks through the clouds just before sunset to light up the rolling hills of sand dunes in Death Valley California. 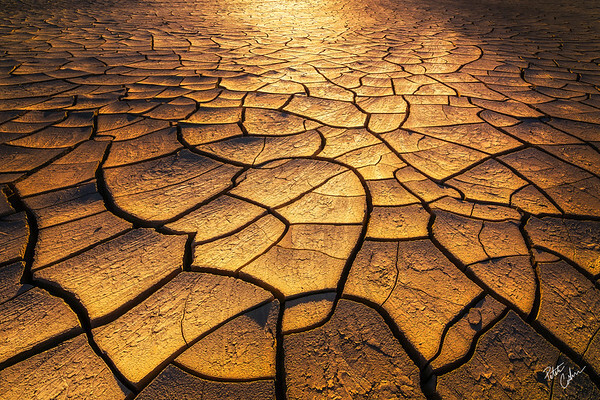 Saves of sand crate beautiful contrasts of light and shadow along with wonderful rippled textures in Death Valley National Park, California. 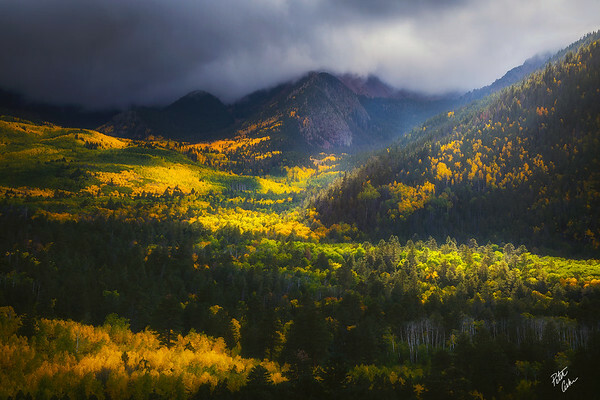 Sunlight breaks through dense clouds to illuminate various layers of aspen groves in the San Francisco Peaks. 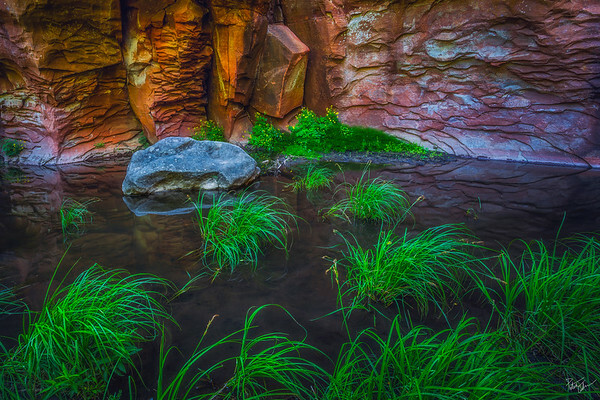 Multiple patches of tall green grass grow out of the cool waters of Oak Creek Canyon beneath patterns of sandstone.